3 How To Tell The Difference Between Imagination and Clairvoyant Messages? There are many signs that point to a clairvoyant ability. Here are some of them. Sometimes part of clairvoyance can be seeing flashes of light. These flashes of light are spirit guides. During these psychic flashes, this is what can occur. 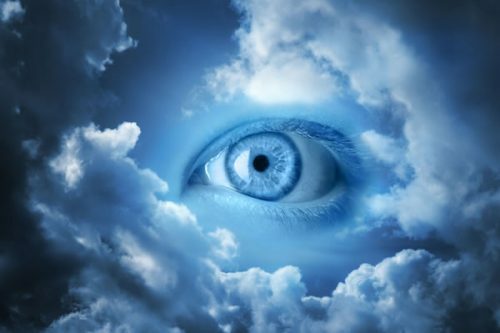 Another one of the many signs of clairvoyance is daydreaming or being able to see how things are supposed to work correctly in the mind’s eye. This ability to see the correct order and flow of things can manifest in many forms. For instance, clairvoyants often have a great sense of direction; it’s as if there is a built-in GPS in the brain. Along with this sense of direction, clairvoyants often have great visual-spatial skills. Completing a puzzle or a maze is easy. Frequently, the careers chosen by a psychic clairvoyant is something in the visual field, like an interior designer or photographer or landscaper. Clairvoyant abilities make it easy for the gifted person to have things easily planned out in the mind. The mind is already making a map of what needs to be completed before anything is put down on paper. Improving one’s clairvoyance is like honing in on any another skill that is learned. Practice is the key. There are three main things that need to be followed when tapping into this skill. Visualizing what you want, meditating, and opening up to the third-eye chakra are all important tasks in practicing clairvoyance. The third eye chakra is located just above the eyebrows, and this is where clairvoyants can see, or visualize pictures, visions and symbols. Practice visualizing certain things, like walking through a castle in England, or laying on the beach in Maui, or rocking out to a concert. This will open up the third eye chakra. Then start visualizing flowers and numbers. The eyes must be closed for this practice, and focusing is the key. Focus on the number one and hold it in the mind for ten seconds, then move on to number two, and so on. Do this all the way until number ten. If it is difficult to do this, get creative and make the number on a piece of paper and decorate it, and then stare at the picture for thirty seconds. Playing memory is an excellent way to begin to see things clearly. Visualize each card as it is turned over. This will open up the chakra. Another good psychic development game is placing ten items on a table, and then visualizing them, what they look like, where they are, what they feel like. Then write down, in great detail, what is remembered about the objects. Zener Cards are another great tool in refining clairvoyant skills. These cards have symbols on them such as stars or wavy lines. With a partner, pick a card and focus on the symbols. Then, telepathically send those images to the other person. Crystals are a wonderful way to develop clairvoyance. Lay them around while mediating or put them near the forehead when sleeping. Carrying crystals in your pocket will also be a reminder of the intention to hone in on and pay attention to the clairvoyant skills that are being practiced. Lapis lazuli and quartz are well-known crystals that open the third eye chakra. Keeping a dream journal is crucial when practicing clairvoyance. Oftentimes, clairvoyants have very vivid psychic dreams. When dreaming, the subconscious takes over, and spirit guides are allowed in. This is a time when loved ones can communicate through the spirit world. Before you go to sleep, put a pen, pad, and paper on your nightstand next to your bed. Then ask yourself a question that requires an intuitive answer to. Repeat this question as many times as possible before you drift off to sleep. Once you wake up, make sure to write down any details you can remember about the dreams you had. If you didn’t have any psychic dreams, then just write down whatever is on your mind upon awakening. Repeat this process for several days in a row if needed until you get an answer to your question. Meditation clears the mind and is crucial to fine-tuning psychic skills. Psychic meditation also raises vibrations and moves the clairvoyant out of the logical mind. This will open up the third eye chakra as well. The key to meditation is getting in a comfortable position, closing the eyes, and getting settled into the body by taking deep breaths. Once in this place, visualize a loved one in the mind’s eye, imagining in as much detail as possible. Another variation on this is setting clairvoyant intentions and focusing on the third eye chakra. Imagine the chakra as a vivid purple that is spinning. This will signify its opening. A blind reading uses a system of cards to help you focus your energy and subconsciously answer questions using clairvoyance and intuition. Put three blank cards down on a desk and sit down in a chair in front of the desk. Come up with a question that you need help answering. On each card, write down 3 different possible solutions to the question you’re asking. Place the cards face down on the desk and shuffle them. Run your hands over the cards and try your best to feel their energy and what card you gravitate towards. Take your time on this and relax. Now flip the cards over and see which card you felt the most attracted to. This should be the correct solution to your question. 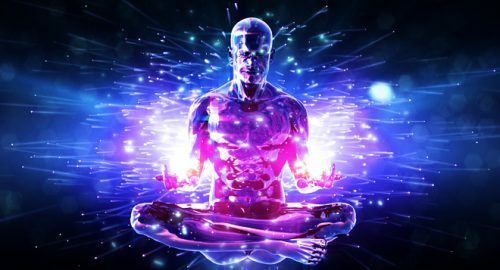 In order to receive messages, a high vibration is needed. Do more of the things that involve happiness and repel negativity. This high vibration will make for a clearer clairvoyant channel. Practice makes perfect, and the clearer all of this becomes, the clearer the messages will be. How To Tell The Difference Between Imagination and Clairvoyant Messages? When you receive a vision or image from the spiritual realm, you are not in control. You’re not “trying” to perceive something or create an image in your mind. It just appears in your mind’s eye without you trying.